I am a designer, maker & collector where I live and work in Shropshire. 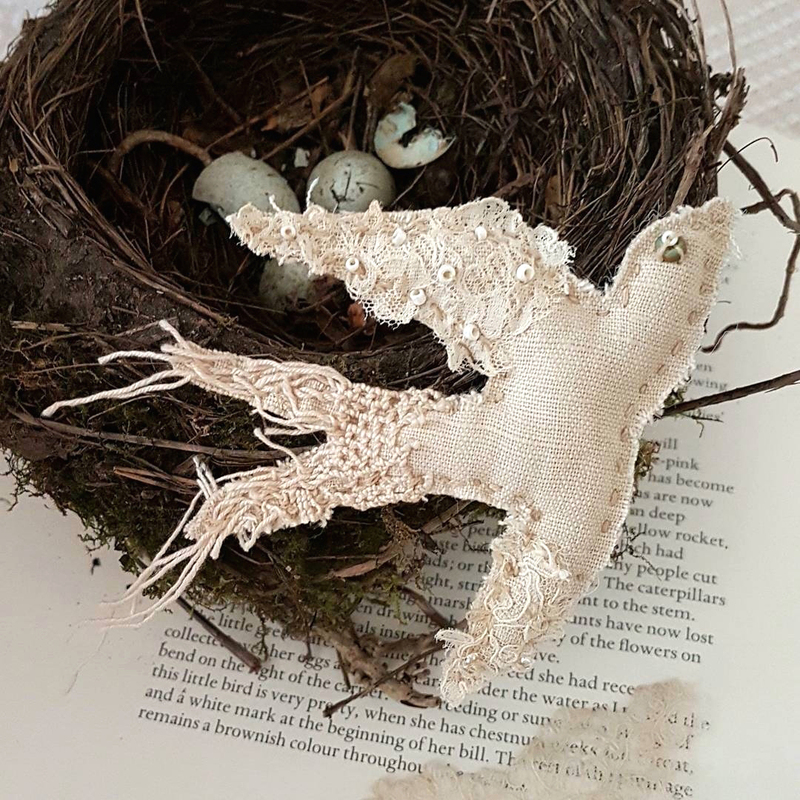 The heart of my work involves hand stitching, traditional embroidery and collage work. 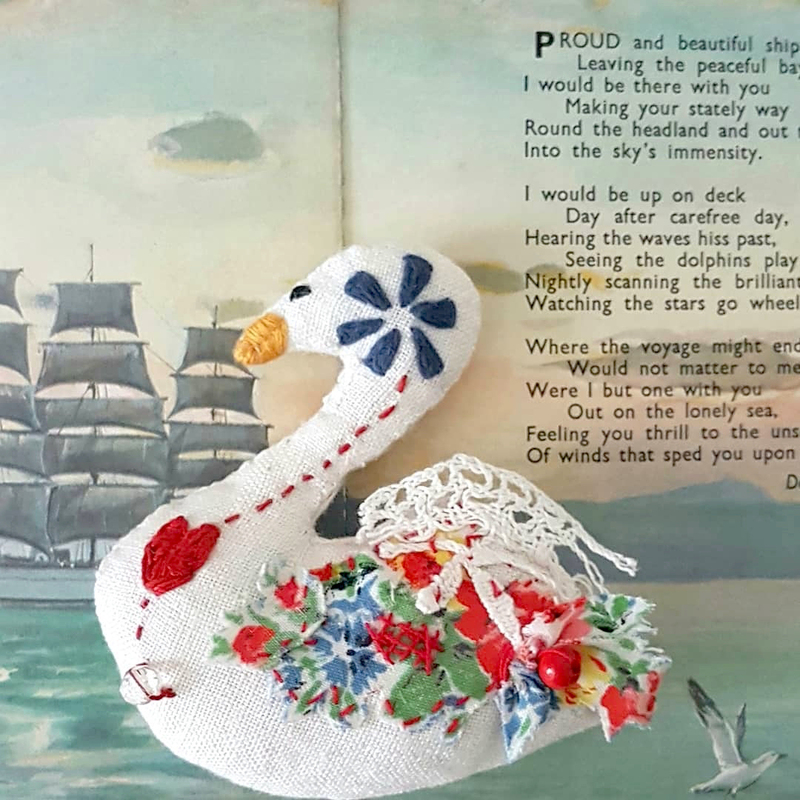 I have been creating since a young girl, home taught by my grandmother Lavinia who was a seamstress and experienced in many of the traditional crafts including hand stitching ,embroidery and knitting. My inspiration & work stems from these early practises and I have continued since then, adapting and developing my own personal style along the way. 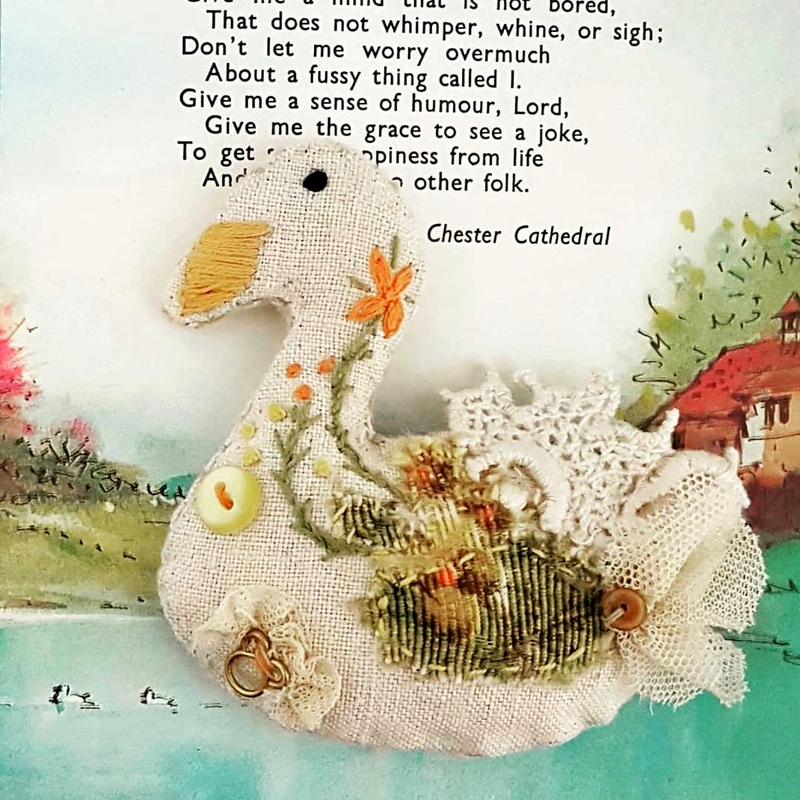 re-using things from the past, including fabrics, paper, lace and buttons often discarded that can become functional & in turn can be enjoyed & cherished again. Display is a passion, creating small dioramas are part of the process throughout my work. Displays at home constantly change, from collecting found objects which inspire me and will at some point eventually make there way into my work. When these creations are then re-used by somebody it then completes the whole story. Where I live inspires me on a daily basis. Surrounded by trees and a beautiful river I am constantly drawn to nature, which is what fuels a lot of my creations. Woodland walks and along the river sketching and photographing seasonal wild flowers creatures and anything that inspires me through travel are incorporated into ideas and future projects. I strongly believe in the concept of re-using materials which was taught to me by my grandmother who lived in an era of make do & mend. I would like to think that I am continuing this tradition along with undervalued traditional techniques such as hand stitching and embroidery and helping to commemorate all those previous generations before.